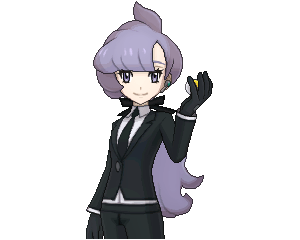 Anabel is one of the trainers that appear in the Battle Tree. As of now, she's one of the few trainers in the Battle Tree that uses Legendary Pokemon. Anabel appears randomly after finishing 10 Battles in the Battle Tree. Note that Anabel mostly uses Legendary Pokemon. She has Entei, Raikou, and Latios in her team, as well as Lucario, Alakazam, and Snorlax. They also boast a lot of power in their respective divisions. Snorlax, in particular, can soak up damage with its large HP pool and defense. Alakazam can dishing out strong Special moves. Lucario can hit your Pokemon with pure Physical Attacks, save for its Aura Sphere. Defeating Anabel may need a bit of luck to win. However, one can start preparing by bringing a Dark and Fighting type. Pokemon such as Pangoro may have the advantage as he is both a Fighting type and Dark type which can check the Latios, Alakazam, Lucario, and Snorlax. His Fighting attribute allows him to deal double damage to Lucario and Snorlax while being a Dark type makes him immune to Psychic attacks. Other Pokemon in the roster should either have Water, Ice, Ground type attacks. Ice attacks while take down the Latios. On the other hand, Water type attacks will check the Entei with Ground attacks meant for Raikou. If players can’t find Ice Type Pokemon to handle the pressure then, the Fighting/Dark Type Pokemon must be the one to hold off the damage while the others switch around.